Last week the team spent a few days repairing, cleaning and wire netting the coat work across the whole of the roof thatch. 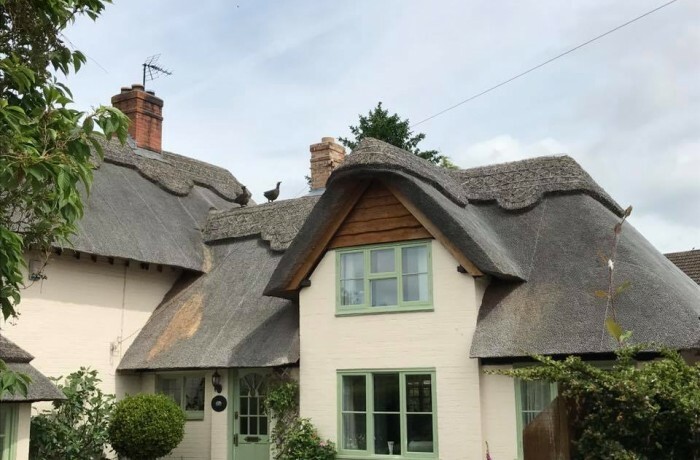 Believe it or not but this roof is only a couple of years old and was thatched by a different company, however, there was a small amount of bird damage. The customer wanted to keep the thatch condition the best that it could be and we did our best to achieve this. Having a thatched roof has both advantages and disadvantages. Unfortunately, one disadvantage is that animals can easily damage your roof such as birds and vermin. Luckily there are many different ways to prevent it from happening. 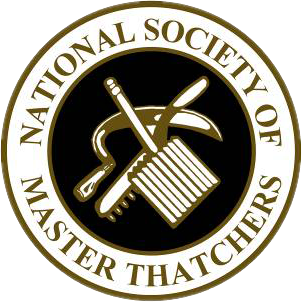 For example, one thing we do here at Heart of England Master Thatchers is making sure the roof has netting where necessary. You could invest in an ultrasound gadget which emits a high-pitched noise, the noise is only heard by rodents and it is unbearable for them, however, we can’t it. Before purchasing such gadgets we suggest that you get professional advice. If vermin becomes a persistent problem on your property then you can call Pest Control who deals with animals such as rats and squirrels. They will have a better understanding of the best solution for your situation. Having dummy birds of prey on your roof can deter other birds away, the thing is with this solution you will need to move the ‘dummy bird’ around from time to time as pest will become accustomed to them being there. With thatching, prevention is always better than cure meaning that we prefer to do all we can to prevent any damage to your thatched roof. Curing a problem will cost you more money in the long run. Get in touch with us today for all of your thatching needs.